Refusing to put life on hold, four intrepid twentysomethings set an unconventional course to see the world on a Nordhavn 76. 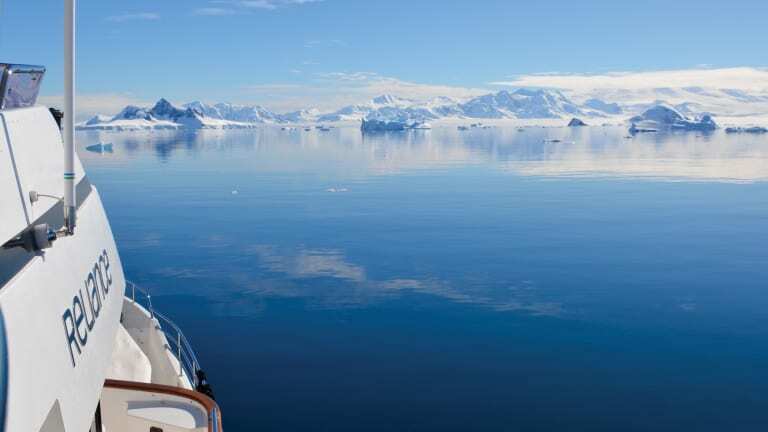 Mitchell DeVries was on the flybridge scanning for icebergs in the Drake Passage when he realized it was useless. It was too dark to see much of anything, let alone a shape materializing just out of reach of the boat’s spotlights. If he did see one, the plan was simple: He was to yell down the open hatch to his 29-year-old captain, Chase Smith, who, from the wheelhouse, would lurch the boat away from impending doom. But even if he did manage to spot one, DeVries wagered there wouldn’t be enough time for Smith to change course. He shivered on the exposed flybridge and thought of home. It was February and the temperature was 12 degrees, with a steady wind blowing from the west at 40 knots. Every now and then 24-foot waves would spray the uppermost decks. 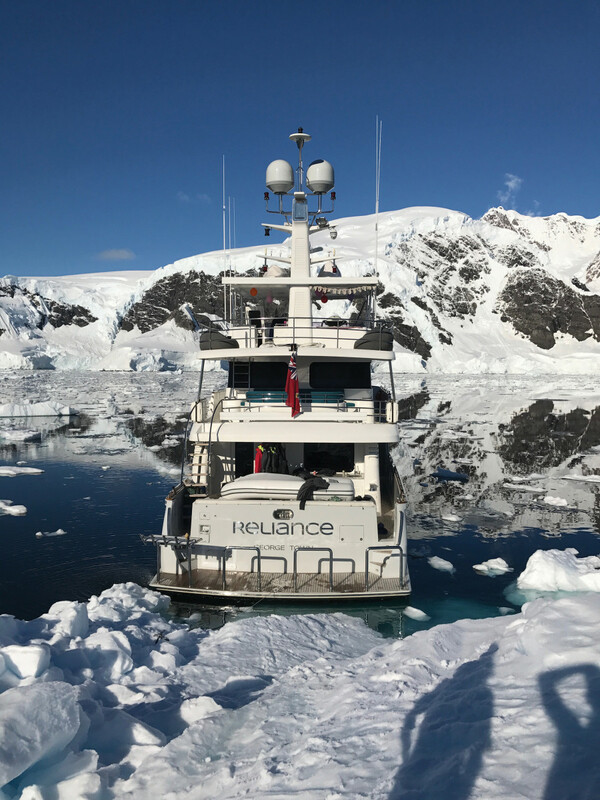 The young crew of Reliance, a Nordhavn 76 owned by Dalton DeVos—a 26-year-old hell-bent on not just circumnavigating the world, but making the most difficult crossings imaginable—had just put Antarctica behind them. 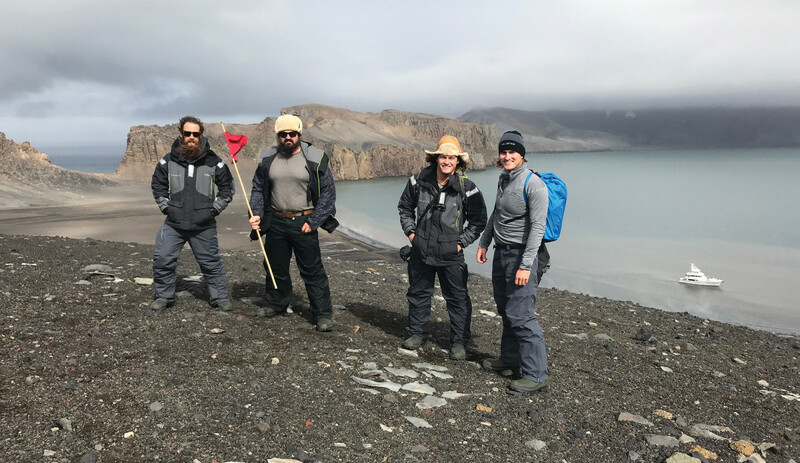 It was there on the Antarctic Peninsula that Mitchell (his friends call him Mitch), the youngest of the crew, had celebrated his 23rd birthday. The thought of crashing into a rogue iceberg weighed heavily on him. He wasn’t even supposed to be on this trip, traveling as part of a four-man crew to the far ends of the earth. He should have been in a classroom in his senior year of college. Instead he was worrying about looming shapes in the darkness, in an inhospitable body of water thousands of miles from home. He stared ahead and waited for what would come. Most circumnavigations go unnoticed, either by their very essence or by design. When Reliance set off from Fiji in 2015, the crew left with little fanfare. But almost two years later to the day, I was there to greet them upon their return. I had heard about the Reliance crew’s undertaking purely by chance, and immediately became fascinated with it. 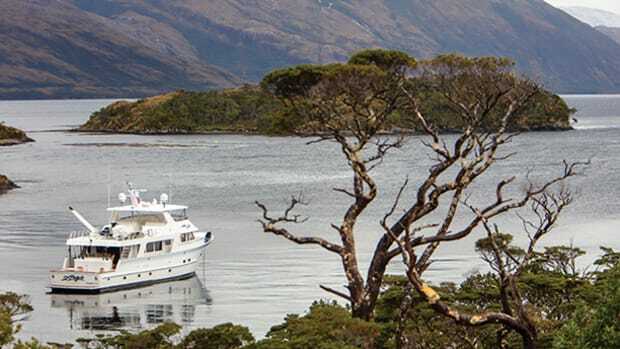 Aside from round-the-world sailing races and record-breaking attempts, many of us assume circumnavigations are attempted by seasoned cruisers, likely retired couples with big dreams of seeing the world. This was in stark contrast to Reliance, where the average age of the crew was 27; two years younger than myself. I was drawn to their story as much for our closeness in age as I was to the spirit of adventure that pervaded it. I first established communication with the crew while they were at sea. At first, only Chase would talk to me. This was partly in the interest of protecting his client’s identity, and partly because communication was limited to the sat phone. The owner, as I would find out later, was Dalton, grandson of American billionaire and Amway cofounder Richard DeVos. It would have been easy for me to explain away their adventure as a rich millennial’s flight of fancy. I racked my brain to try and imagine what would make someone set off on a two-year circumnavigation, bearing down on the toughest passages in the process. What I discovered was more profound than I had imagined, a lesson about how legacy and friendship shapes us, and how difficult it is to escape our lives back home. Dalton was just finishing up college when he conceived a plan to take a motoryacht around the world. At a time when most young adults in their 20s are dealing with the harsh realities of post-college life—starting a job, paying taxes, paying down student loans—Dalton set into motion a voyage that would push him out of his comfort zone. 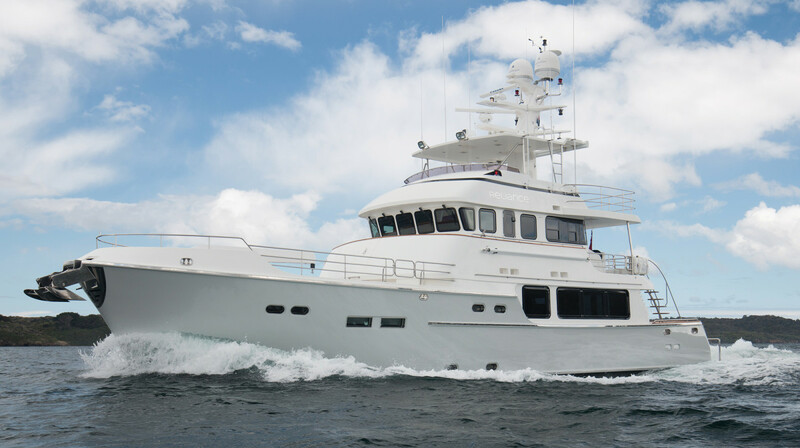 Dalton DeVos chose a Nordhavn 76 for its cohesive spaces and ease of use. 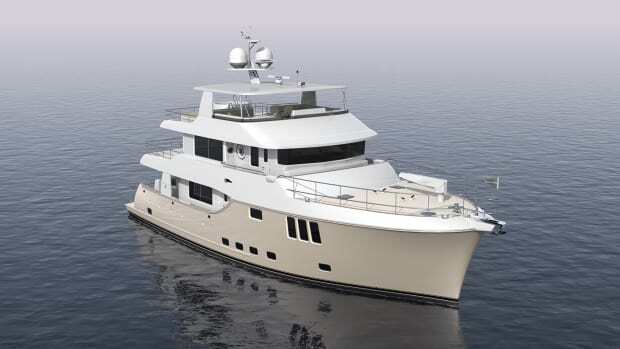 After choosing a Nordhavn 76—said Dalton, “It just seemed to fit our purposes perfectly”—the next step was to assemble a crew. He hired the first captain he interviewed. That was Chase, a charismatic, experienced South African. Next came Mitch DeVries, who Dalton had known since elementary school. Dalton had first reached out to Mitch’s older brother, Thomas, who considered the offer for a long time before declining. The brothers are from Grand Rapids and had spent summers working on the DeVos family boats on Lake Michigan. When Mitch heard about the trip, he reached out to Dalton on his own. He told him he would have to take a hiatus from Hope College in Michigan, but he didn’t want to pass up this once-in-a-lifetime opportunity. Dalton was happy to have him. The Reliance crew didn’t set out just to circle the world; they set out to see and experience it. 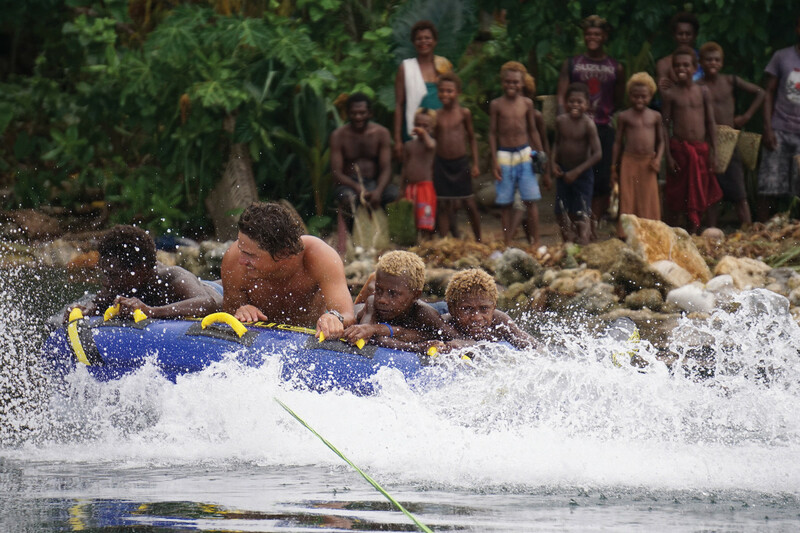 Here, Mitch DeVries takes children tubing in Papua New Guinea, a memory he won’t soon forget. One of the voyage’s biggest supporters was Dalton’s grandfather, Richard DeVos. In his youth, Richard had sailed a 38-foot schooner with his friend and Amway cofounder Jay Van Andel to the Caribbean, despite neither knowing how to sail—an undertaking that became part of Amway’s company lore. Dalton had grown up hearing about his grandfather’s exploits; those stories, coupled with the vacations to far-flung destinations he had taken with his grandparents, were the seeds for his own adventures. Dalton was staying at his parent’s summer cottage when he proceeded to lay out his ambitious plans, hoping to get their blessing, too. His mother started crying. His father asked if he could come. 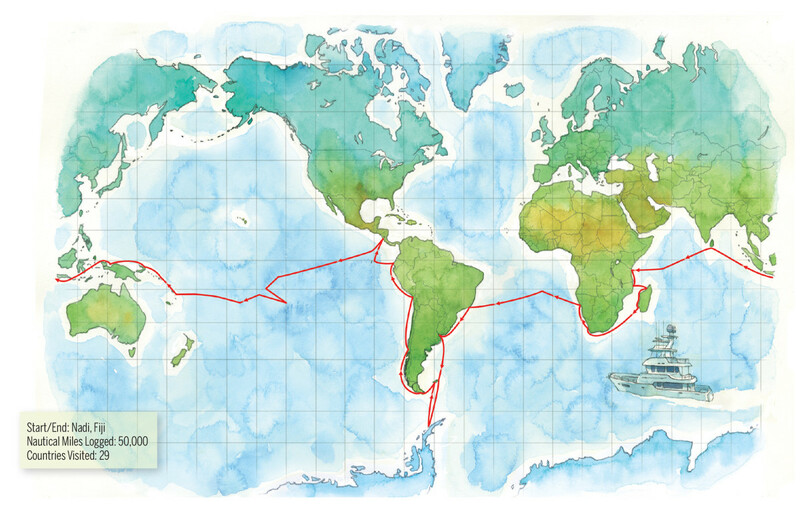 The Reliance crew had completed their circumnavigation the day before I arrived. They had returned to Port Denarau, Chase’s home port (his father owns a brokerage and repair center there), and in celebration, the night’s festivities had run longer than expected. The crew looked dusty. Gone were the smiling faces I had seen in almost every picture posted online—many in tropical locales. A brief stroll through any of the crew’s Instagram pages will trigger wanderlust. It’ll also make you green with envy. In one, Chase is holding up a dolphin the length of his body. Others show Mitch about to bungee jump 700 feet over the Bloukrans River in South Africa. 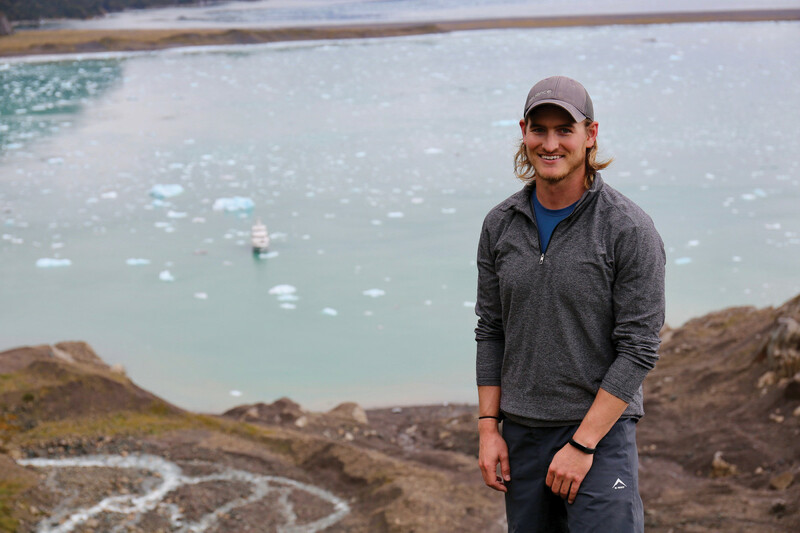 Another has Dalton hang gliding in Rio de Janiero; and Alex George—a New Zealand engineer who came on as crew in the Seychelles—putting golf balls on an iceberg in Antarctica. There are pictures of them scuba diving in the Solomon Islands, taking ATVs through the Namib desert, tubing in Papua New Guinea and wakeboarding in French Polynesia. The list goes on. 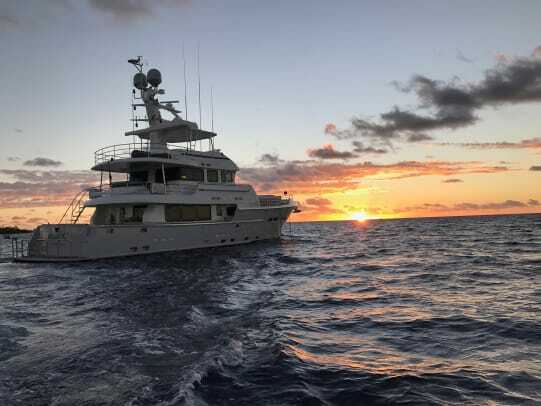 In total, the crew explored 29 countries and logged over 50,000 nautical miles, all while adhering to one rule: No one stays aboard the boat; everyone goes adventuring together. In addition, Dalton was clear that he, too, should be considered crew under Chase’s command. 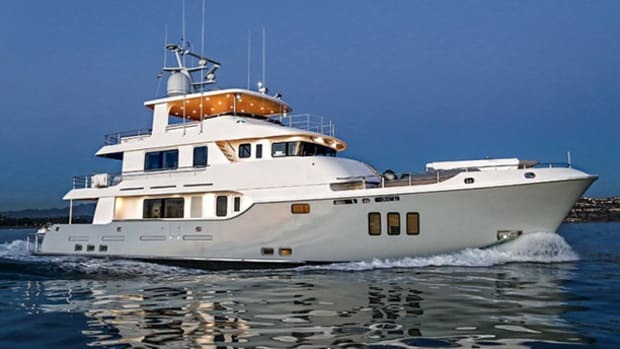 That meant not being absolved of a deckhand’s responsibilities: He rotated watch duties, polished the stainless steel, wiped down floors and, yes, cleaned the head. At first, the close-knit crew was taciturn around me. They had relied on each other for so long—working, arguing and bonding within very confined quarters—that the addition of a stranger to the mix could have felt like a breach of trust. 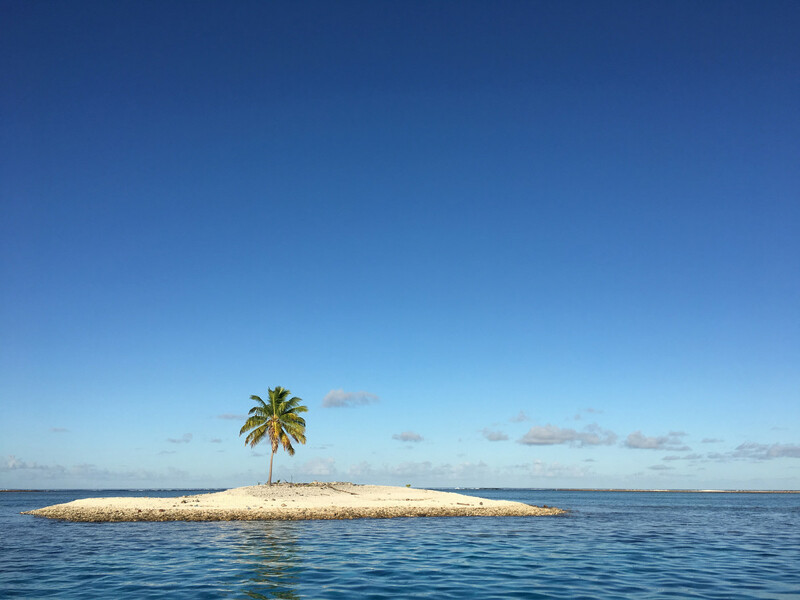 But by the time we were ready to clear out for Musket Cove (a bight sheltered by coral reefs on the island of Malolo Lailai, half a day’s cruise from Port Denarau) they started to open up. In the two years Reliance was cruising, the boat never left an anchorage without Dalton. But now, at the end of the trip, Dalton had received some terrible news: His grandmother—Richard’s wife, Helen—had passed away suddenly. On his travels, Dalton had thought frequently of his grandfather, who had been ill. He had seen Richard before he left Grand Rapids to begin his adventure, and at the time, he wondered if this goodbye would be their last. It was a difficult thing to do. From the beginning, his grandparents had urged him to undertake this voyage. Now, two years later, Dalton hadn’t just missed birthdays, but years, really, of time that could’ve been spent with friends and family. The smallest part of him wondered if it was all worth it. When Dalton’s family called to tell him of his grandmother’s passing, Reliance was setting off on the final leg of the journey, from Tonga to Fiji, and the sat phone’s connection was horrible. But when his grandfather picked up the line he suddenly came in perfectly clear. Initially, I had asked Chase to throw off the lines and make for some nearby harbor, in part to see the crew in action while underway. 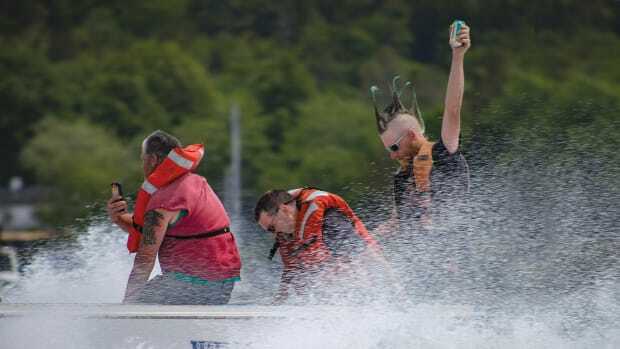 He capitulated, though it became clear they weren’t exactly itching to get back on the water. “If the weather is good,” I said tentatively. “The one thing I don’t do often is check the weather,” said Chase. That wasn’t a captain grandstanding: It was true. I heard him say something to the same effect after anchoring in Musket Cove. Once we pushed out of the marina, the entire crew moved in a mechanical, steadfast remove from their work that was a sight to behold. Their spirits also lifted. The weather in Musket Cove was overcast, but peaceful, with a gentle head sea and pastel clouds. Dragonfly had beaten us to the cove; its massive tender garage door open to reveal a collection of water toys. 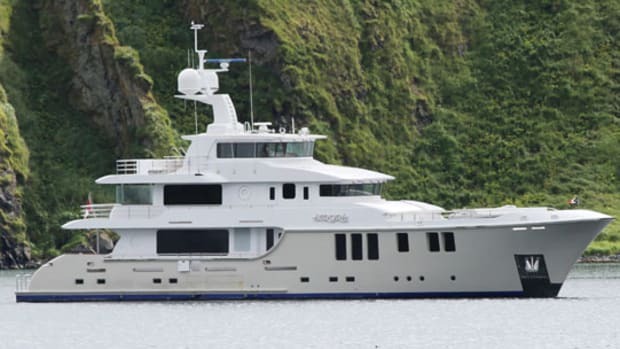 Reliance rests in a secluded cove in the Marquesas. A contingent of cruisers—those transient, hardscrabble, carousing denizens of the sea—had come aboard from Black Pearl, bringing with them some cold beer. Salutations and beers were given, with the conversation invariably turning to the circumnavigation. “Any scary parts?” asked the Black Pearl’s chef, a tall blonde woman from Alberta, Canada. “When we left,” laughed Chase. 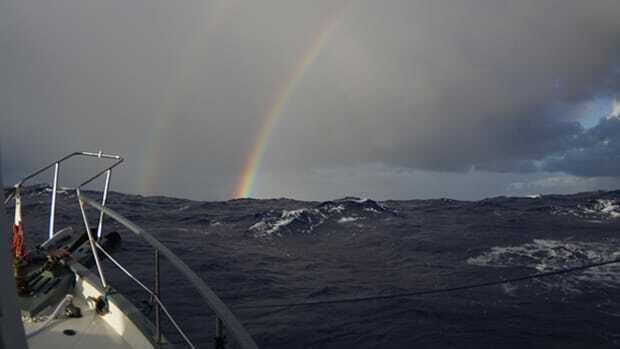 On the very first leg of the trip, pushing out from Fiji to Vanuatu, Reliance had run into a serious storm. Twenty-six foot waves lashed the boat, which was running out of hydraulic oil due to a seal leak in the stabilizers. In the beginning, Chase was aboard with his girlfriend and business partner, Angel DuPreez, and he was doing double duty as the boat’s engineer and helmsman. During that first storm, he was rushing up and down from the pilothouse to the engine room, trying to instruct Mitch on how to fix a leak on a boat he had never worked on before. Luck was on their side: In short time the leak miraculously stopped. Chase’s relationship, however, couldn’t be fixed so easily. He parted ways with Angel in Indonesia, less than a quarter of the way into the voyage. From there, the crew had promptly turned into a boy’s club, with Chase letting his beard grow long and wispy. Dalton did the same; and Mitch had been growing his hair out from the start. Alex had come on board already sporting a shaved head and a long beard. In time, they had started to look like a pack of disheveled pirates. But, grooming aside, they seemed to have come out the better for it. With Chase as their instructor, the men took turns learning the intricacies of navigating a 76-foot yacht. He taught them everything, from the rules of the road to radar techniques to reading paper charts. Part captain, part instructor and part older brother, he also taught them how to kite surf and spear fish along the way. Together, the crew heard lions roar in Zanzibar, played ping-pong at a weather observatory in Antarctica and got tattoos in the Marquesas. And they had given back, too, providing fresh water, provisions and fuel to the people they met along the way. The Reliance crew had also set, without even trying, an official record for the southernmost latitude ever recorded in a Nordhavn, a feat they barely mentioned to me. 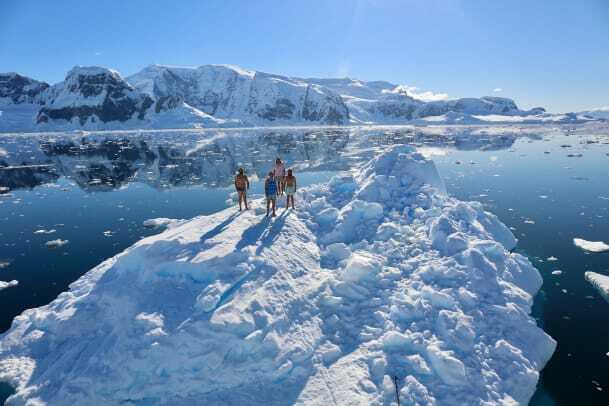 At first, they were worried they wouldn’t be cleared to enter Antarctica’s waters by the Secretariat of the Antarctic Treaty, the southern continent’s governing body. After all, Reliance wasn’t ice class. But once they were cleared for entry, they found that the boat’s fiberglass held up extremely well, even against pack ice. But I wondered what would make someone like Mitch, whose background was very different from Dalton’s, want to go on this voyage, and was he aware of the price to be paid for “living life to the fullest” when he signed up? As a collective, the crew had lost girlfriends, final moments with family members and years developing their careers. It’s true, they had conquered the world, living out a fantasy most of us can only dream about. But to this outsider, their struggles and experiences were, for the most part, entirely unrelatable. No one knows exactly how many circumnavigations are completed on an annual basis. There is no international governing body that regulates such feats, just a hodgepodge of clubs and organizations that award members based on exceptional passagemaking. 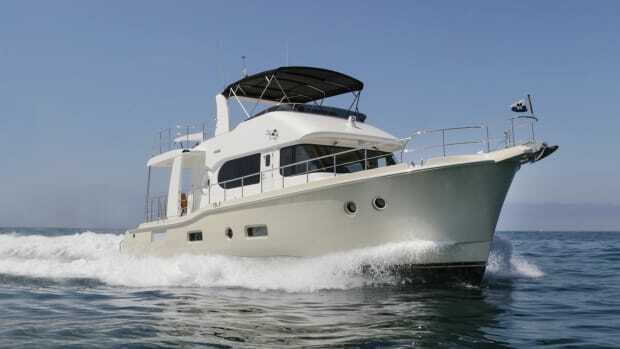 The consensus is that few circumnavigations, less than 2 percent, are undertaken by motoryachts. What is resoundingly clear is that—be it sail or motor—many of these passages remain unpublicized. 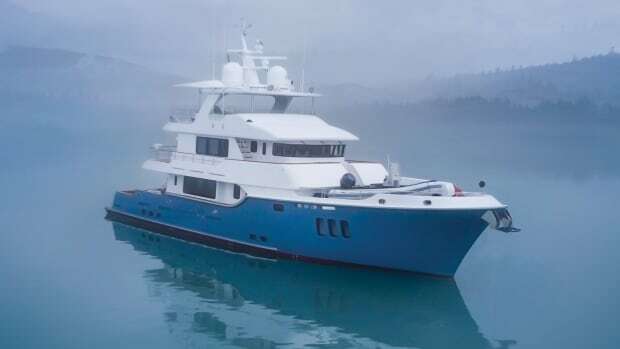 After selling Reliance to an owner in New Zealand, the crew parted ways. Friends to this day, they still talk to each other occasionally. At the time of this writing, Dalton was deciding which direction to take in his professional life. 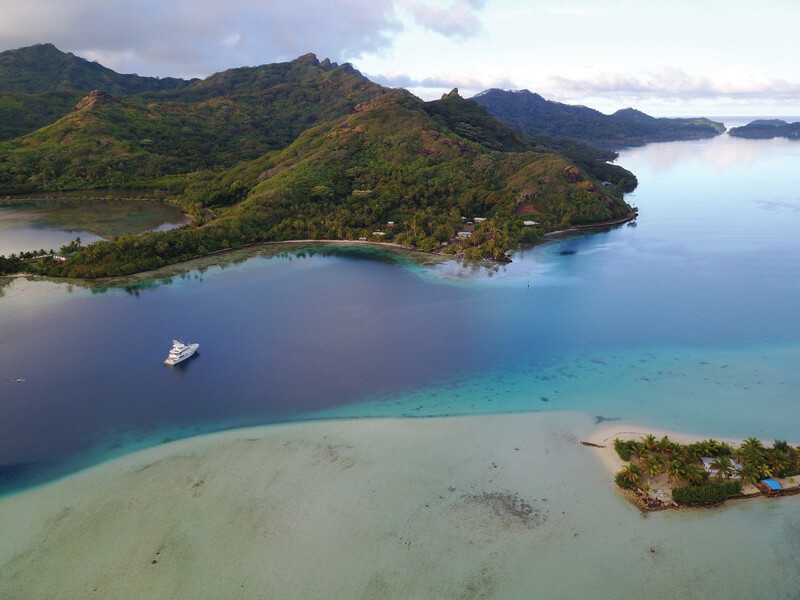 Chase was working for his father at Baobab Marine, adjacent to Port Denarau, in Fiji. Alex had started his own marine maintenance and repair business, Diesel Marine NZ, in Auckland. And Mitch had enrolled as an undergraduate at Hope College, where he’s finishing his last year. I spoke with Mitch after he returned stateside. He was working for his father, the owner of a construction company in Grand Rapids. When we spoke, he was in the middle of backbreaking work, and he was all too happy to take a break. He would be starting classes in a week, and he was both excited and nervous. Mitch had always struck me as a humble guy, one who was fortunate, if not incredibly lucky, to have gone on the adventure of a lifetime. With his long hair, laidback attitude and quiet industriousness, he could surely pass for any of the students taking part in Greek life at Hope College. 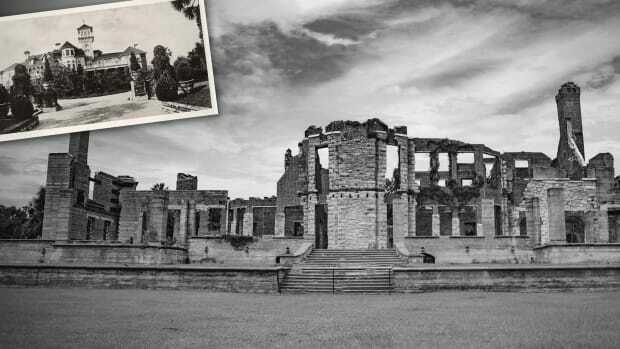 But Mitch belonged to a different fraternity, a silent, prestigious one that stretches across the ages. He had accomplished something that for all its magnitude was easier left unspoken. To calm his nerves, he had met up with Dalton recently to shoot some hoops. As the basketball’s dull thuds ricocheted and reverberated around the gym, they talked about how different their lives were now, and the difficulties inherent in readjusting to “normal” life. Like Richard DeVos and Jay Van Andel, the two now shared an invisible bond. An understanding of what it’s like to go through a highly unusual experience and come out the other side, not entirely different but certainly not the same. This article originally appeared in the June 2018 issue of Power & Motoryacht magazine.